Are your snack foods making enough health claims? More importantly, are the claims being displayed prominently on your packaging? It could be the difference that helps them stand out on grocery store shelves. With more than half of today’s consumers looking for foods that are low fat, low-sugar, or made with more natural ingredients, it’s crucial that manufacturers use health call-outs like “50% less sugar,” “all natural,” or “10g of protein” on their products’ packaging to attract consumers and boost sales. According to a recent report by The NPD Group titled, “The future of eating: Who’s eating what in 2018,” consumption of better-for-you-snack foods like fresh fruit, granola/nutrition bars, and yogurt is up 14% since 2006, and is forecasted to grow the fastest of the three main snack categories (BFY, sweet, and savory) over the next few years. As consumers seek out healthy, functional snacks to fit their more snack-friendly, healthy diets, these call-outs can be used to attract a certain demographic, highlight a certain product feature or function, and position your snack foods as the superior product. It should come as no surprise to manufacturers that products that make health call-outs on their packaging typically generate more sales than those that do not. 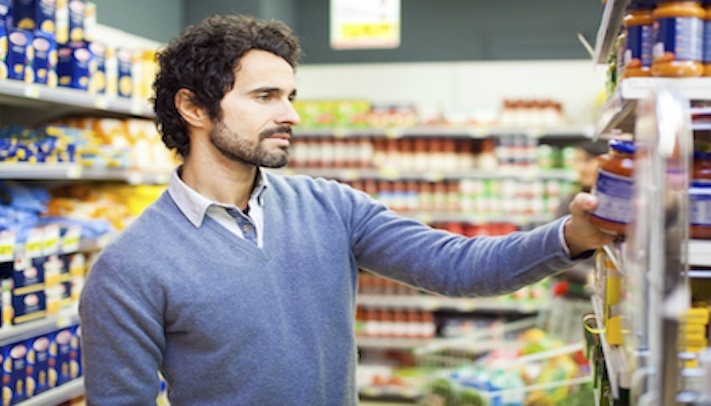 However, upon further review, purchasing data indicates that health claims on packaging are most effective when included on products that are already perceived as healthy. With BFY products, consumers are already aware of their general health benefits, and call-outs help highlight a particular benefit or feature consumers are looking for. For example, one granola bar might advertise its protein content to capture the attention of the fitness audience, whereas another granola bar might promote its fiber content for those who need help with their digestive system. As consumers look for the best available health food options to fit their needs, prominently displaying your health call-out on your packaging can help highlight your advantage and draw consumers to your product. As Innovators of Dairy-Based Food Ingredients™, we offer several natural whey protein products that can be used to enhance the protein content in your snack foods, giving you more ammunition to add to your list of health call-outs. Looking to add a crunchy protein boost to your cereal, granola, snack mix, or nutrition bar? Grande WPCrisp® is the perfect solution. Formulated to deliver a superior blend of nutrition, flavor, and texture, these versatile crisps can be seasoned, coated, or mixed with other healthy ingredients, and can be used in combination with or to replace soy, corn, and rice crisps. Their clean, neutral flavor complements the taste of your application’s primary ingredients. Grande WPCrisp® is available in 50, 60, and 70% protein levels, with 60% protein also available in natural dark cocoa. For manufacturers looking to add a protein-packed yogurt coating to their snack bars and snack mixes, only Grande Primo™ offers that authentic yogurt flavor and creamy texture consumers are looking for. It’s a great cost-effective and convenient alternative to fresh yogurt, and our Y100 formulation even meets the Code of Federal Regulations (CFR) for yogurt prior to drying. Plus, there’s no concern over the shelf-life or handling issues that accompany fresh yogurt. Want to learn more about how whey protein can help improve your snack applications? Download our Snack/Nutrition Bar Applications Guide below for more information, or contact our food scientist experts.